It’s highly likely that either yourself or someone you know, is currently experiencing either one of these. It’s serious. It’s an illness. And there are thousands of medication brands out there on the market that can help or reduce anxiety/depression symptoms. However, many of the people we know who suffer from these illnesses do not like the idea of having to take drugs in order to just get through their day. So then I tell them this: get a cat. And they say, “What, why would I get a cat – how could a cat help me if medication can’t?” and then I go on saying loads of jargon only a cat-lover would say. 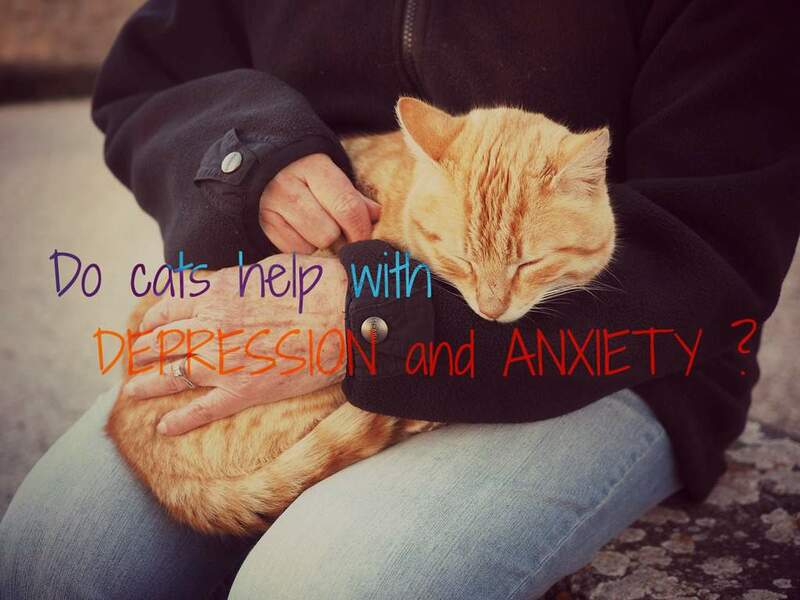 But all jokes aside, to answer the impending question which just so happens to also be the title for this post (do cats help with depression and anxiety)… YES, cats do in fact help with depression and anxiety. Thank you for asking! In fact, not only do cats help (but they just happen to have extra super healing powers) but also other pets can help with those suffering from depression or anxiety. These animals can be associated with “emotional support” animals (or dubbed ESA’s). If you have anxiety, it’s possible in some cases to have a doctor prescribe your pet as an emotional support animal who is allowed to come with you where most animals are not allowed. Watch this informational video about a college student with anxiety who lives with his ESA cockatoo in his on-campus dorm. How do cats do help with anxiety and depression? Cats make us feel better. But how? In what ways do they do this? Let’s find out! The first reason for why cats can help you with your mild to moderate depression or anxiety is by giving and receiving unconditional love. Whether you realize it or not, your fluffy kitty loves you dearly and you love kitty back. It’s a wonderful, uncomplicated love that you look forward to seeing every time you come home and that you miss very much when you’re away. You don’t need someone to respond to you with human words, kitty love is the most purrfect thing to cure your pain. Owning a cat (or several..) gives the pet-owner a sense of responsibility to take care of something. Feeling responsible for something (like the happiness/overall well-being of your cat) will give you purpose, which really really helps in times when those “existential-self” moments roll around to ruin your joyful mood. Just knowing that Yoda is waiting for me when I come home makes me feel happy – as if his contentment relied on me and my ability to take care of him (which it basically does). And that makes me feel happy because if I’m depressed about work, school, or anything else, I know that my cat counts on me to be there for him. One thing I love about having a cat is that I am never bored when I need to take breaks from work or school. Yoda is always entertaining and taking care of him breaks up the routine of everyday life. There isn’t a day that is the same when my time is spent with him. He also his own routine; one that keeps my sense of time on the right track. Plus, I rarely ever need to set my alarm. Yoda makes a point of waking me up on time so he doesn’t miss his breakfast. Cats also help in making you more active. Cats are not idle characters (unless they’re sleeping), rather, they love to run around and play. Actively engaging in playtime with your cat can help relieve you of any anxious feelings or help avoid those major swings of depression from too much inactivity. I personally walk Yoda on his leash! You can train your cat to walk on a leash, too. Read more about walking your cat on a leash in our article here. Believe it or not, having a cat can help you with your social life. When you have guests over, cats act as natural icebreakers – I can attest that this is very true! At one point or another, Yoda always ends up being the main center for attention or entertainment. People love to ask about him and we love to talk about him! It’s a win-win situation. You probably already know that people feel better from physical contact with other humans. The same principle also applies to cats, actually maybe even more so. Studies show that taking care of pets can significantly improve our moods by triggering our “feel good” hormones. Caressing, touching, petting, or hugging a loving animal can immediately make you feel less stressed and happier than you were before (2). Depression makes you feel isolated and makes you want to step back away from family and friends. 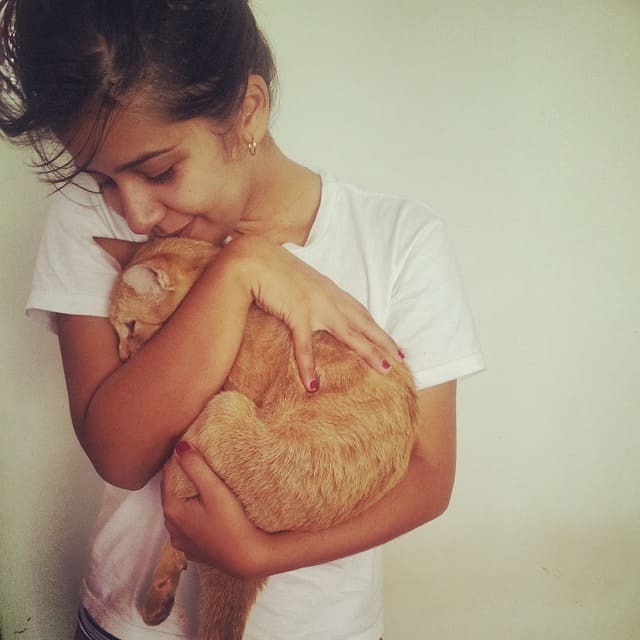 Owning a cat will never let you slip into a deep, dark depression as your best friend will always be there with you. Yoda has always helped me avoid that ‘dark place’ by always showing me companionship. Cats have magical superpowers. They can actually heal broken bones from the Hertz frequency of their purrs, isn’t that so cool? Cats have so many health benefits that we actually devoted an entire article about the major health benefits of owning a cat! Go check it out! So, do cats help with depression and anxiety?? I’m hoping you know that answer to this one 😉 Y-E-S! Cats do in fact help with depression and anxiety. Aren’t they amazing? 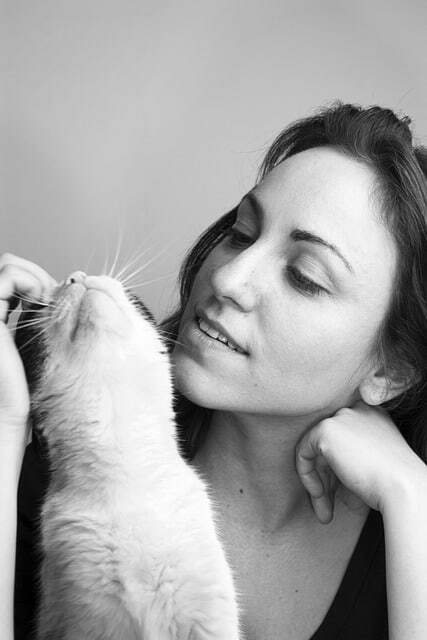 I hope you have been able to gain some insight into why and how cats help us humans with our over-stressed lives. I am sure I have only scratched the surface in these regards, but nonetheless, I think you get the overall picture of how cats do it. They’re definitely much more than just a cute ball of fur, don’t ya agree? To wrap this one up, I just want to say thank you very much for all of our followers. You are growing and growing and growing and we can’t thank you enough! 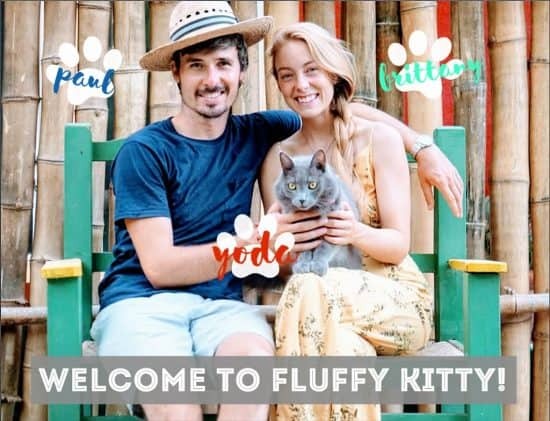 We love our baby boy Yoda and just love sharing our love for him – with you all! With high hopes that you benefit from our articles and that you have a fun, safe, and happy life with your own furry companion! This is wonderful. I’m in the process of research to convince my parent to let me get a cat. My anxiety and depression have been through the roof and medication doesn’t work. Therapy is hardly an option. I had a cat, Mia was her name, and she used to help me through it but she passed. The only reason she was even around was that my mom had her before she met my dad and it was either her and her cats or no her at all. But my dad is very anti cats. Any advice? HI, thanks so much for your comment. 🙂 We’re so happy you could find some insight from our article. Is there a way to find a compromise? Have you communicated your feelings/needs about having an emotional support animal (like a cat) as a pet? If you feel more comfortable first speaking with your mom about it, then perhaps start with that. We are not experts by any means, but we are confident that open communication and love can lead to wonderful surprises. If ever it comes to a strict “no” with a new cat in the house, would you consider spending some of your free time volunteering at the local animal shelter? It can also be a very therapeutic way to engage with cats and help the community. We hope this has helped – we’ll be thinking of you and sending kitty high-fives your way. Cats can help you with your mild to moderate depression or anxiety is by giving and receiving unconditional love. It’s a love that you look forward to seeing every time you come home and that you miss very much when you’re away. Owning a cat will never let you slip into a deep, dark depression as your best friend will always be there with you.. Love that!! What I would recommend for you is to seek out volunteer options with the animal shelter in/near your town. There are lots of kitties who need love and attention in these shelters, and it would be really beneficial for you in many ways I think. I used to do this when I was about your age. I remember walking in maybe feeling a little anxious, and coming out feeling like I contributed to something bigger than myself and feeling like I left the animal shelter with a more positive, loving atmosphere than when I arrived. Doing this would also put into actions your words – meaning that your love for cats and need for their soothing company will be shown through your dedication to go volunteer just to have this connection. Your parents will see how much it means to you, and maybe this could open up new possibilities. If you have friends with cats, you can maybe ask to go over and spend sometime with your friends and their feline company. Don’t be nervous to ask a neighbor, a new one, if they have an indoor or outdoor cat you could look out for in the neighborhood and maybe spend some cuddle time with. More than not, striking up a conversation with a neighbor or friend, or a complete stranger even, leads to new doors, new ways of thinking, new possibilities and opportunities, and much more! Such a sweet article and so true a about the benefits of pets to help alleviate depression an anxiety symptoms. I have personally experienced the positive effects of pets in my life but I have also seen the behavior health field open up to pet friendly rehabs and also service animals which are shown to be life changing. I hope we can keep spreading awareness and opening up more options for people to experience to recovery and love received from pets. Hi Marissa, thanks for your kind comment and for sharing your experience !